Raechel had a dream to include her Mother and Grandmother in her wedding in a most unique manner . . . Raechel found Jeanette to help make her wedding dream come true. 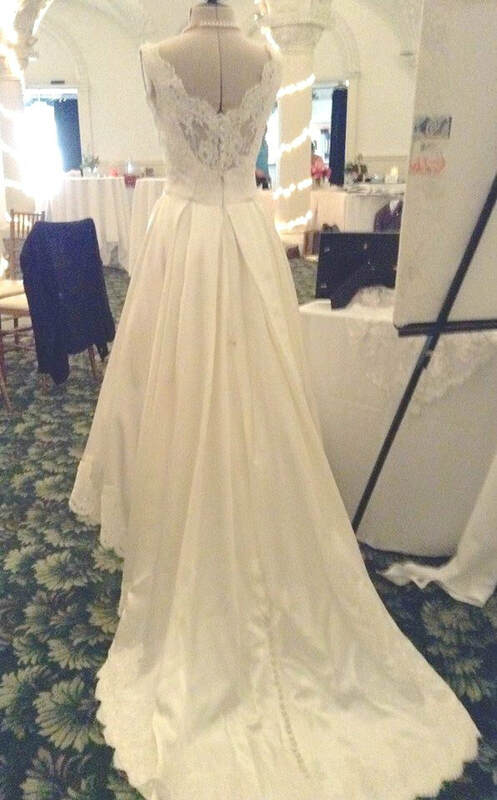 Wedding Gown Designer Jeanette Johnson of Sew In Love Couture loves the creativity of dress design with weddings as her passion and gowns and formal wear putting her close to heaven. Jeanette’s creativity and passion for designing wedding gowns took on a special meaning when Raechel asked Jeanette to transform her mother’s 1987 wedding dress and re-design it for her wedding in 2015. Back in 1987, Raechel’s grandmother had handmade her mothers dress and Raechel wanted to wear the dress bringing a special meaning on her special day. 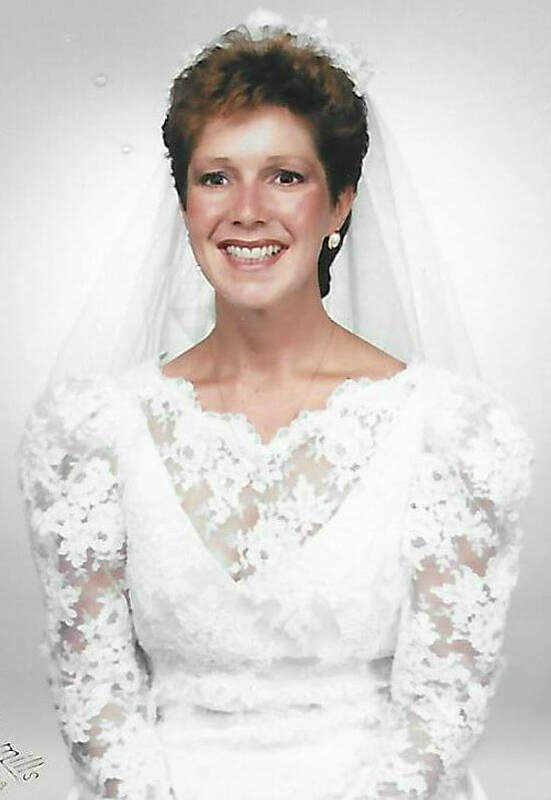 Raechel hoped that Jeanette would be able to transform her mother’s 1987 dress to the dress of her dreams. The Transformation: Raechel’s mother’s gown was lovely with exquisite lace on the bodice. Jeanette took the sleeves out and the lace from the chest area leaving a beautiful neckline for Raechel. For the back of the dress, she made it into a V and left the lace which gave it a vintage look using the sleeve buttons up the back. Raechel had wanted a 50’s style look, so Jeanette made it a tea length in front but left the train in the back to create a high low gown. Jeanette took the gathers out of the skirt and created box pleats.